Discover elegant pearl & necklace folders for your precious collections! 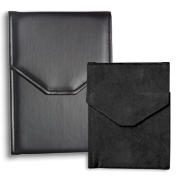 Shop high-quality articles, made of suede, leatherette or satin and keep safe your jewelry pieces. Get the best wholesale deals thanks to our special discounts!